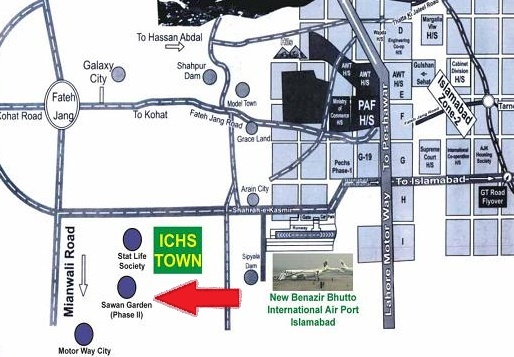 For the information of those who do not have any idea of its location, Soan Gardens Phase 2 is located close to ICHS Town and State Life Housing Scheme, which lie at about 3 KM from new Islamabad Airport and close to the CPEC route. CECHS has recently published a newspaper advertisement announcing that it has acquired all the required land for the phase 2 of Soan Garden Housing Scheme, and started development work on ground. 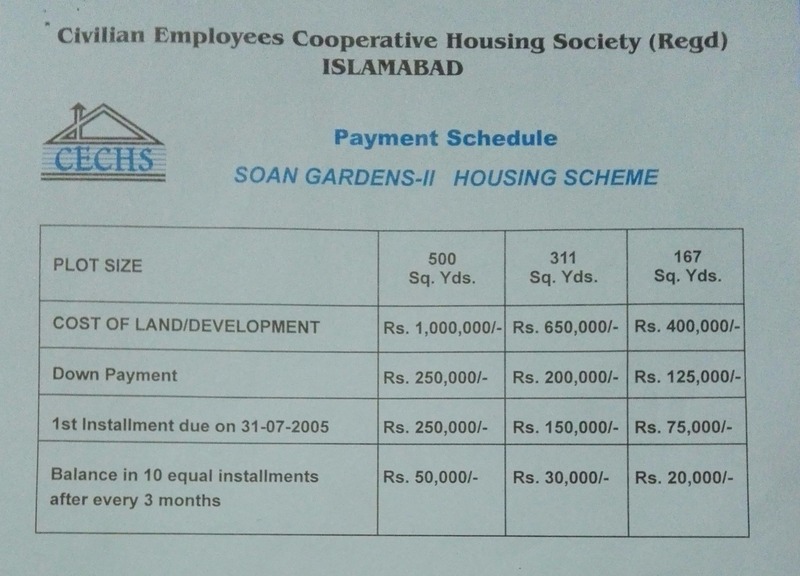 The society has requested the old members of Soan Garden Phase 2 to deposit their dues/installments/development charges on time, so that society can continue development work without any further delays. 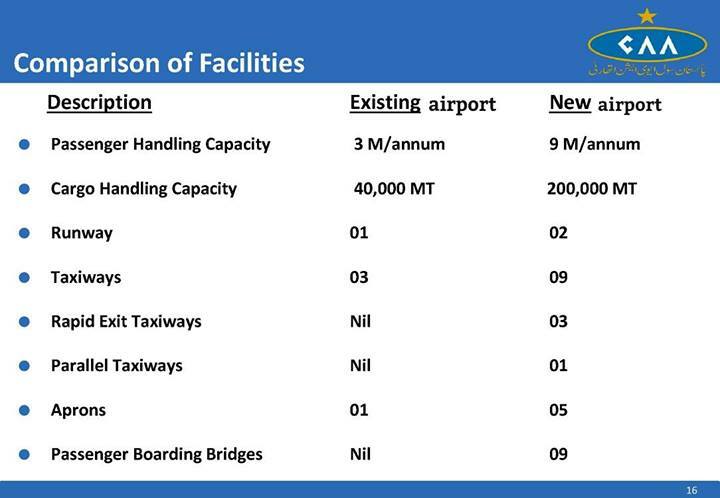 The society has maintained old prices as per 2005 schedule for all old members of the society, so they have to pay their outstanding charges and upcoming development charges as per old rates. If any member is unable to pay his outstanding amount to the society, he can either sell out his plot in the market or get refund of his paid amount from the society. CECHS has intimated the old members of Soan Garden Phase 2 to pay off their outstanding dues within 15 days of the notice in order to maintain their allotment and avail old prices. If a members pays off his due amount in one shot, he will be given possession of his plot in A block of the society within 6 months. 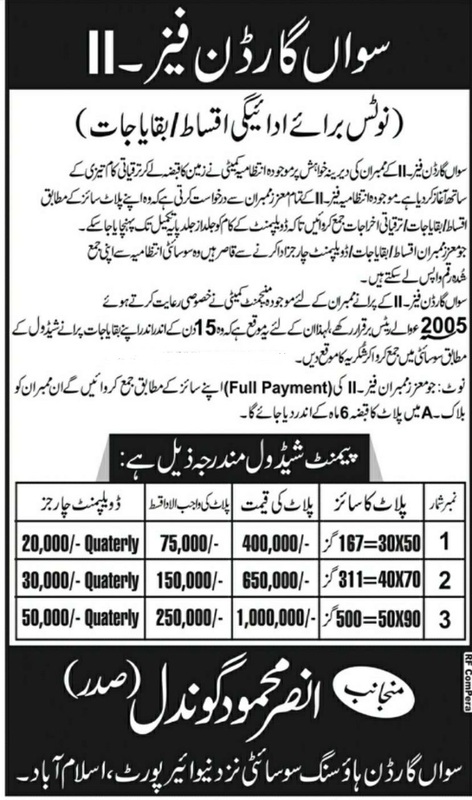 Following is a copy of newspaper advertisement published on 15th February 2018.